The Chinese wellness consumer is attracting more and more attention. In line with growing incomes and education, the Chinese are starting to increase their focus on health and wellness. This can be seen particularly in terms of diet. With diet and nutrition playing such a major role in overall wellness, we decided to investigate the status of and key trends in Chinese eating habits. We found a nation with major diet-related problems, but one that is now more health conscious and generally adjusting its diet in a positive direction. Wellness and diet are closely tied to major trends in demographic and economic changes. Many of China’s health and wellness trends can be directly traced back to the country’s rising incomes and more affluent middle class. Credit Suisse reported China’s middle class as including 109 million people in 2015, which is larger than that of the United States. McKinsey, meanwhile, predicts that the Chinese middle class will increase in size to 400 million people by 2020, with half of them being in the upper-middle-class segment, earning the equivalent of US$16,500-35,000 per year. China’s transformation into a predominantly middle class society is an extremely powerful social force with a corresponding impact on diet and wellness. As China’s economy opened up in the 1980s and consequently prospered, incomes rose and more people moved to urban areas and joined the middle class. In line with this, people have shifted from their traditionally healthy, majorly plant-based diet and started eating much more meat, dairy products, salt, fat and sugar. This change in diet has had a significant negative effect on health. However, what is happening right now – as incomes continue to rise and the population has become better educated ­– is that many people are now beginning to focus more on improving their health. This demographic trend of increased health consciousness is certain to continue to grow and develop in the coming years. 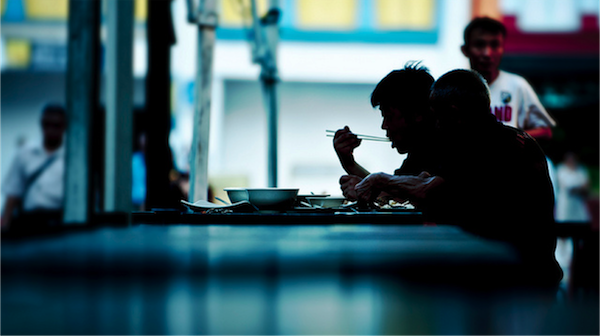 China is currently faced with a range of significant health problems stemming from a poor diet. The country has the highest number of obese people in the world, with around 12% of adults classified as obese. 30% are overweight. Even amongst children, almost 10% are overweight and 6% are obese. This suggests a ticking time bomb of future health problems in China if major actions aren’t taken to rectify the situation. Back in the 1980s, when most of the country ate a basic and traditional Chinese diet, diabetes affected just 1% of the population. Following rapid income growth and a shift to a more unhealthy diet, the diabetes rate has since shot up to 11% of the population. China now hosts the most diabetics in the world. There were 109 million diabetics in China in 2015, a third of all those suffering from the disease. This number is predicted to increase to 150 million by 2040. In addition to this, almost 500 million Chinese people are currently estimated to be pre-diabetic, showing the nation to be on the cusp of a potential diabetes epidemic. The financial costs are huge. Around 13% of all of China’s medical costs are considered as related to diabetes, and it has been estimated that by 2030 this will reach US$47 billion. Each year, approximately 500,000 cardiovascular disease deaths in China stem from diabetes. China has witnessed a boom in fast food consumption. In 2011, Yum! Brands, the parent company of KFC, announced that half of its global profit of US$1.8 came from China. KFC now has more than 6,000 stores across the country, bringing in US$5 billion in revenue in 2017. McDonald’s has been opening 10 stores per week. However, more recent trends are showing a significant decline in growth of fast food consumption. As the middle class has become more sophisticated in their eating habits, fast food has lost its appeal. In an attempt to meet this change in preference, fast food restaurants are offering healthier options. For example, KFC now allows consumers to choose for their food to be grilled rather than deep-fried. Despite this, fast food sales are predicted to grow only 2% in 2019, the slowest segment in the overall food service industry. Since the 1980s, China’s consumption of meat has boomed from around 1 million tonnes to over 8 million tonnes in 2010. In the early 1980s, the average Chinese person ate around 13.6 kg of meat per year. This has now ballooned to 63.5 kg per person per year – however, this remains just half the amount of an average US citizen. A recent report from Rabobank, though, states that Chinese meat consumption growth is expected to markedly slow down due to changes in consumer behaviour. Sugar is one of the most important food ingredients in terms of health. It is directly blamed for health issues such as obesity and diabetes, diseases that, as mentioned above, are major health issues in modern China. Despite this, China’s consumption of sugar is significantly below the global average. Sugar has not been a major part of traditional Chinese diets, although it has certainly increased over the past couple of decades. According to the FAO, there are regional differences in Chinese sugar consumption, with the South of China having the highest consumption levels. In addition, unsurprisingly, rural areas have lower consumption levels than urban areas. Despite this, recent trends show increases in sugar consumption in rural areas and a declining trend of sugar consumption in urban areas. Sugar consumption growth in China has been weak the past few years and was expected to remain relatively stable for 2018-19; however, a global sugar production surplus has pushed prices low, which may stimulate greater consumption. Despite this, the long-term trend is one of moderation primarily due to health concerns and the use of sweetener replacements. While sugar consumption in China is far below the global average, the opposite is true in terms of salt. A study published in The Lancet reports that salt consumption in China is amongst the highest in the world. The researchers reported that 80% of communities had a mean sodium consumption of greater than five grams per day, significantly higher than the 3-5 grams per day in most other countries. Chinese salt consumption is twice the level recommended by the World Health Organization and double the amount an average US resident consumes. This may be an important cause of the fact that around a third of Chinese adults suffer from hypertension, which leads to heart attacks and strokes, the top two causes of death in China. Because of this, salt is high on the Chinese health agenda in terms of its negative health effects and the need for reduced consumption. Salt consumption is, however, on a downward trend. This is mainly due to changes in diet and greater use of refrigeration for food preservation. A study by UNICEF and China’s official food safety institution found that salt consumption in China dropped 22% between 2000 and 2009-2011. In spite of this, sodium intake only declined 12% during the same time due to significant consumption of pickled vegetables and seasonings such as soy sauce, as well as increased consumption of processed foods. Chocolate has traditionally been considered a rare delicacy in China, and not a significant part of Chinese food culture. Despite the rapid growth of the Chinese middle class, chocolate consumption in the country has grown relatively slowly. The average Chinese citizen consumes less than 1kg of chocolate per year, one tenth of that of a typical European. However, due to the size of the country’s population, China is the world’s eleventh largest chocolate market and major chocolate producers have invested in the country with expectations of large growth in absolute consumption. The Chinese market is expected to grow to 40 billion yuan by 2020 from 20 billion yuan in 2015. Notwithstanding these predictions, Chocolate and confectionary sales have fallen by 6 and 4% respectively in the past year according to surveys by Bain and Kantar Worldpanel. In a country with almost constant and numerous health and safety scandals, the term “natural” is a big draw to Chinese consumers. This year is likely to see China become the world’s top importer of organic food. Surveys of Chinese consumers show 39% consider it “very important” that food products are organic, and 40% are prepared to pay higher prices for organic food. In addition, 45% of consumers claim it is important that their food is “all natural”, with 47% willing to pay premiums for this. Market data appears to back this up, with the overall food sector growing at around 5% but the health food sector growing at three times this. While a global average of 68% of people say they are willing to pay a premium for foods free from unhealthy ingredients, in China this is 82%. Euromonitor reports that organic food consumption has increased at double-digit rates between 2012 and 2016. Gu Shaoping, a senior official in the National Certification and Accreditation Administration, said that organic food sales increased about 18-20% last year. Motivated by numerous safety scandals, Chinese consumers are less trusting of the food they buy. This has inspired an interesting trend of urban consumers buying directly from farmers that they know don’t use pesticides. A survey showed that country of origin, price and brand are considered important signifiers of authenticity and safety for Chinese consumers. The young, educated and rich are increasingly on the look out for healthier foods, often going online to find information on and source high-quality, safe and nutritious foods. In terms of fresh fruits and vegetables, consumption is on the rise. 40% of the global total of fruits and vegetables is consumed within China, with consumption growing at around 4% annually. While vegetarianism and veganism is currently uncommon – a survey in 2016 found that only 0.77% of Shanghai residents were vegetarian – the number of vegan restaurants in Shanghai has increased from 49 in 2012 to more than 100 last year. One study has predicted that the vegan market in China will grow by more than 17% between 2015 and 2020, the fastest rate of growth internationally. However, in terms of alcohol, the trend is for an increase. While sales of beijiu, China’s most popular alcohol, fell by 20% from 2017, beer sales have grown 31%. Whisky and wine sales are also reportedly growing. China’s high levels of alcohol consumption have led to the country coming out top in terms of alcohol-related deaths according to The Lancet. This is mostly attributable to men, with three times more men drinking alcohol than women. In fact, the alcohol-related health effects for women are far lower than the world average. With the Chinese middle class being such a powerful global force, their diet and consumptions trends are important to study. Our investigation shows that over the past couple of decades, Chinese diets have worsened, with increased consumption of meat, fast food, sugar and processed foods. This has lead to major health crises in terms of obesity, diabetes, strokes and heart attacks. More recent diet trends, however, show positive changes to fast food, salt, sugar and fruits and vegetable consumption. Chinese people are increasingly concerned about eating both safe and healthy foods, and companies in the wellness sector should aim to cater to these desires.